David Elworthy is a Business Advisor at Lagat Training & Recruitment, a Lincoln based firm that has been helping city businesses up-skill their staff for over 25 years. David joined Lagat from David Lloyd Leisure. 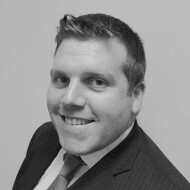 He specialises in work-based learning programmes and apprenticeship recruitment.